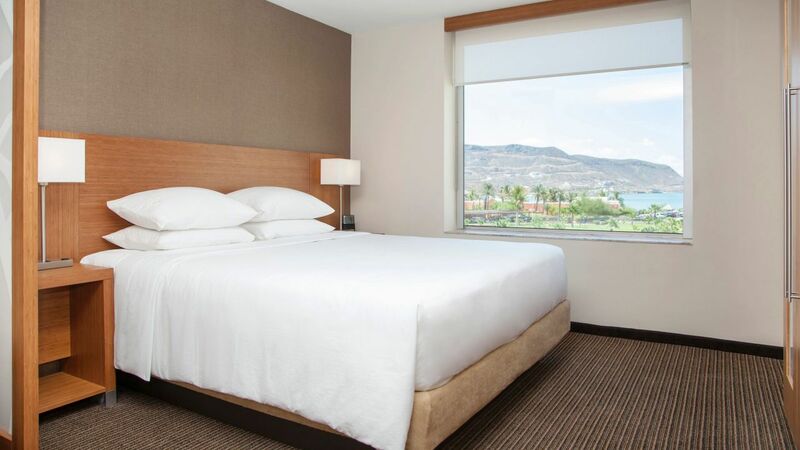 Escape to Hyatt Place La Paz where all amenities are provided to feel like Home away from Home. This exquisite location offers unforgettable views of the Sea of Cortez and a spacious en suite. Enjoy an attractive view of the Marina from your spacious 29-square-meter guestroom with a balcony, separate sleeping and living areas, including one king Hyatt Grand Bed and our Cozy Corner with sofa-sleeper, perfect to sit back and relax. Enjoy an attractive view of the Marina from your spacious 29-square-meter guestroom with a balcony, separate sleeping and living areas, including two queen Hyatt Grand Beds and our Cozy Corner with sofa-sleeper, perfect to sit back and relax. 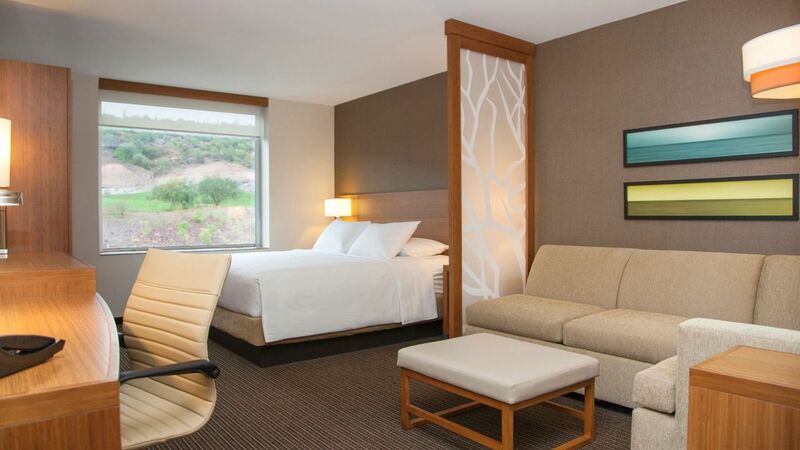 Relax in a 345 sq ft guestroom with two queen beds, a work space, and comfortable furnishings. 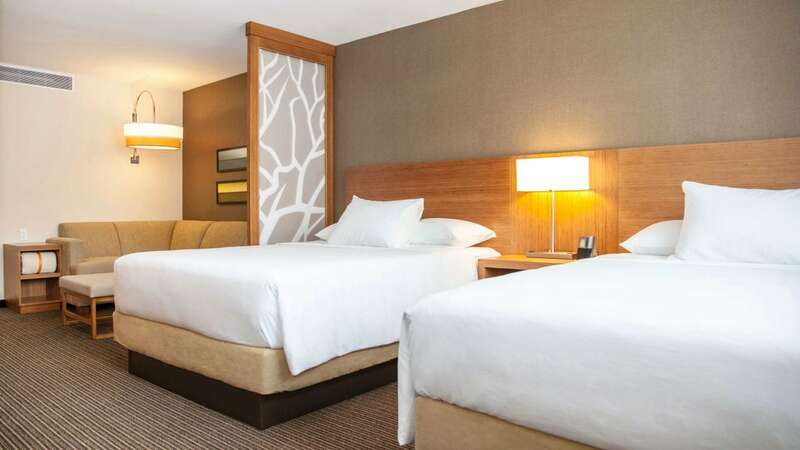 Enjoy up to 312 sq ft of space, separate sleeping and living areas, a work space, and hi-tech amenities in the King Bed room. Enjoy an attractive view of the Marina from your spacious guestroom with separate sleeping and living areas, including two queen Hyatt Grand Beds and our Cozy Corner with sofa-sleeper, perfect to sit back and relax. 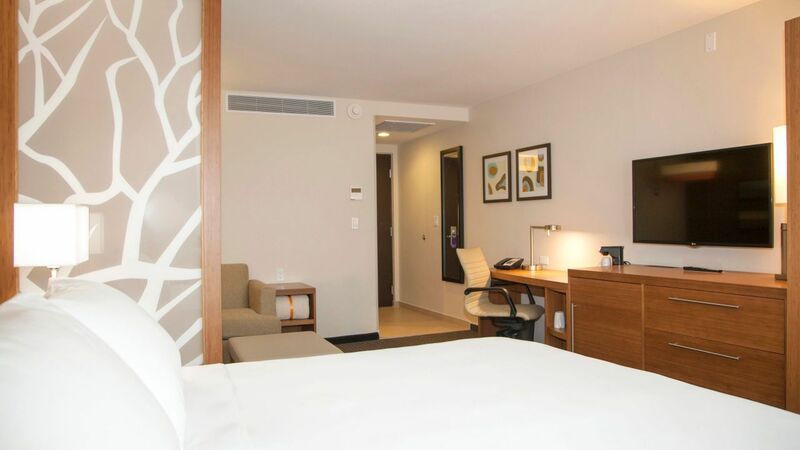 Enjoy an attractive view of the Marina from your spacious guestroom with separate sleeping and living areas, including one king Hyatt Grand Bed and our Cozy Corner with sofa-sleeper, perfect to sit back and relax.